Head to the refer a friend page and either log into your existing account or order a new SIM. Once you’re logged in (or your SIM has arrived), you’ll find your unique referral code. Share this with friends and family – it’ll allow them to order a SIM with a free month of usage! Once they’re signed up your account will be credited. Get hold of your friend’s unique referral code or link. This will allow you to sign up for a free SMARTY SIM. Once you’ve received the SIM card you’ll get a month free, as will the friend who referred you. 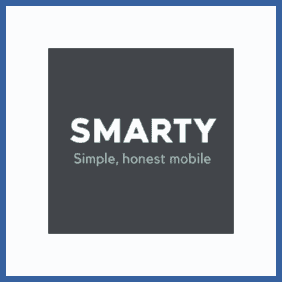 SMARTY is a new SIM-only mobile network which prides itself on its open, honest packages (there’s 3 simple ones to choose from). For example, you get credit back for unused data – even when you’re roaming internationally! Pretty cool. If you’ve ordered yourself a free SMARTY SIM you can start sending SIMs to your friends and family – for each new signup you’ll get a free month, as will your referred friend.